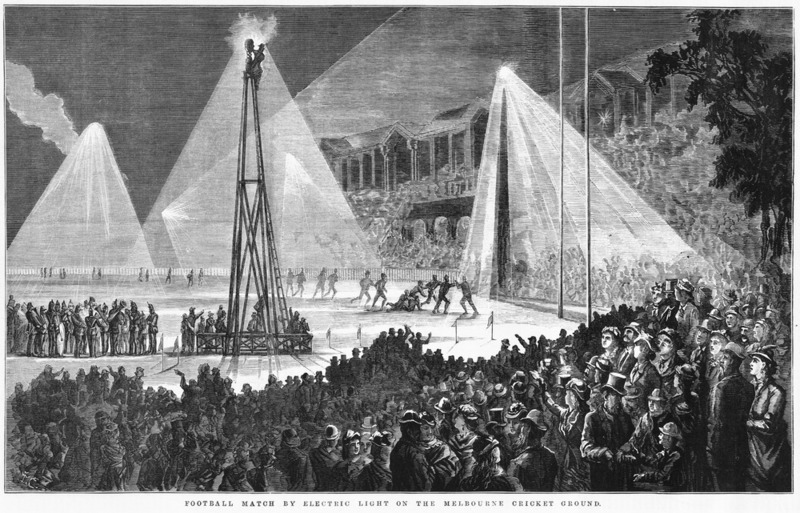 Australia’s first, and one of the world’s first, night football match under electric light made the headlines when it was played on 5 August 1879 at the Melbourne Cricket Ground, dramatically depicted in the Illustrated Australian News.3‘Football match by electric light on the Melbourne cricket ground‘, 30 August 1879, Illustrated Australian News, p. 137. 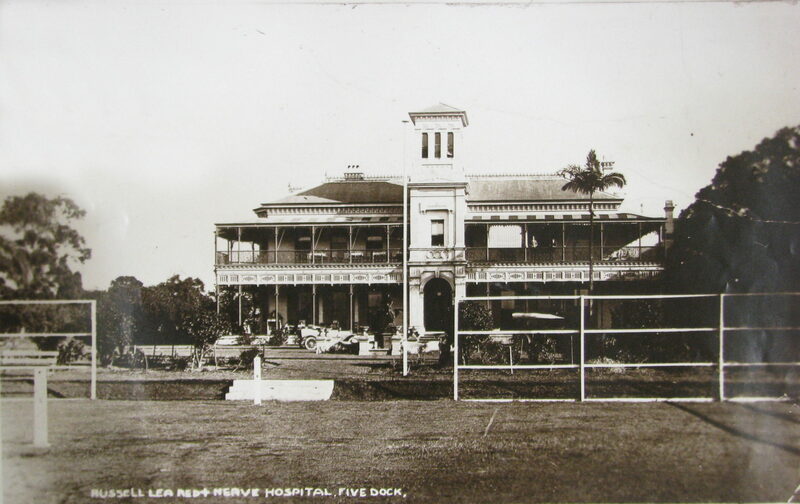 State Library of Victoria collection: Accession no. IAN30/08/79/137. 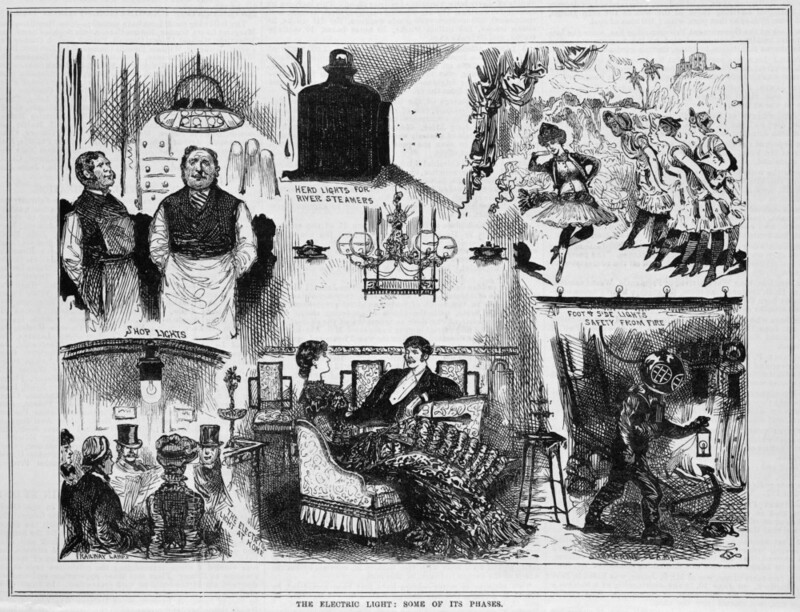 See also The Australasian Sketcher with Pen and Pencil, 30 August 1879, p. 84 Yet despite this vivid illustration, the reality was far from the exciting illuminated spectacle the papers built it up to be. 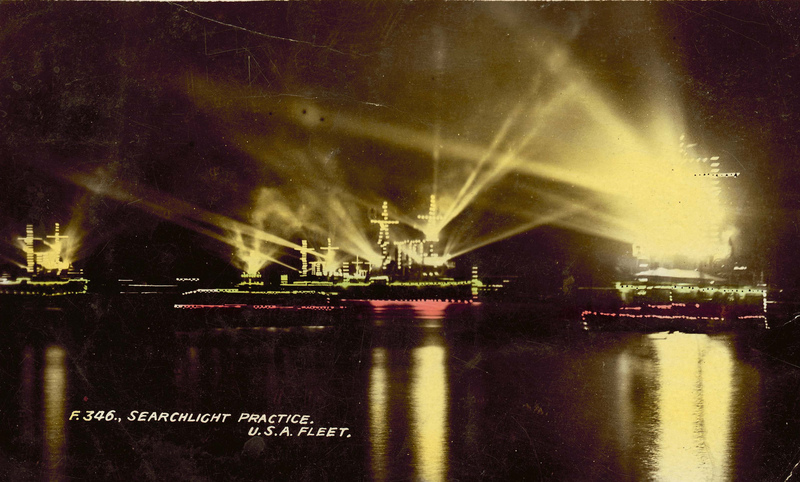 In other displays, audiences were wowed back during the early 1900s, when spectacular light shows were seen across the city of Sydney.5Nicole Cama, ‘It was ‘a veritable blaze of splendour’: Lightshows of the past’, 5 October 2013 In 1908 during the United States Navy’s visit, electric lighting and searchlights were placed around Customs House, Martin Place, Circular Quay, Sydney Town Hall and across the US Navy battleships in ‘dazzling brilliance’.6’Sydney’s Illuminations‘. (1908, August 29). 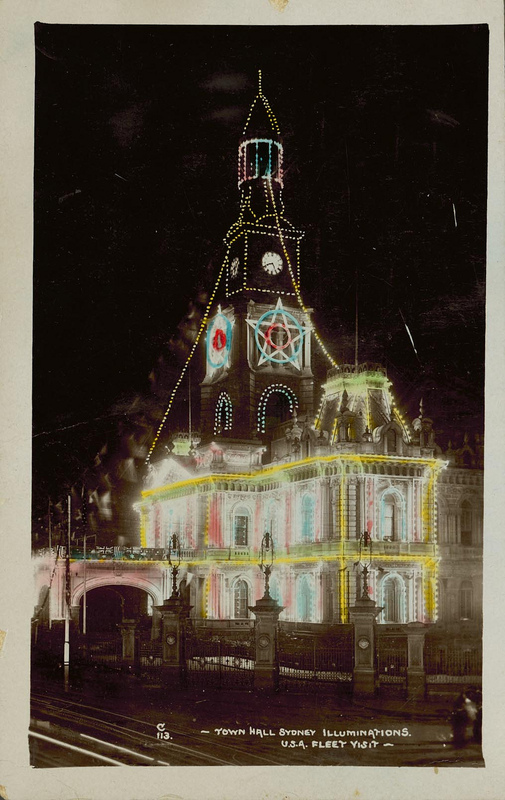 The Muswellbrook Chronicle, p. 2 One newspaper called Hyde Park a ‘fairy land’ and another revealed how the ships ‘burst into light, their lines, from hull to fore, and mainmast, picked out with countless electric lights. It was a veritable blaze of splendour’.7’Sydney’s Illuminations‘. (1908, August 29). 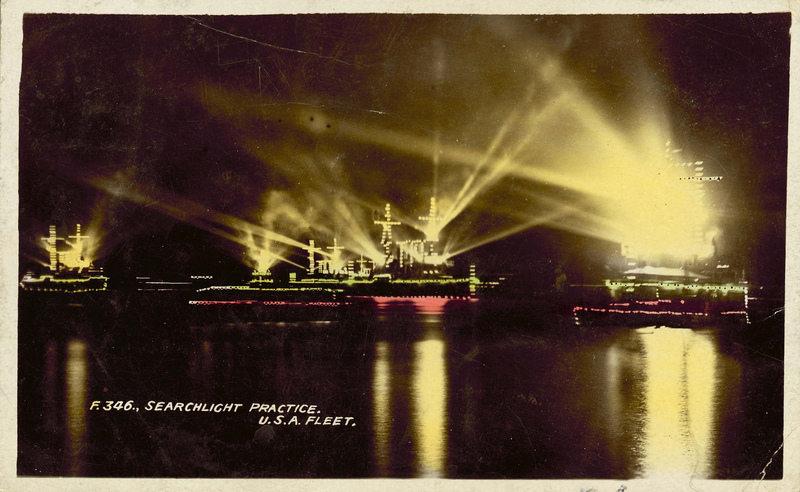 The Muswellbrook Chronicle, p. 2 and ‘Warships Illuminated‘. (1913, October 6). The Sydney Morning Herald, p. 6 And it seems our fascination with light has not faded with contemporary displays such as Vivid Sydney. When it came to innovations and inventions, some focussed their attention on this new source of energy. In 1921, former Australian cattle dealer turned Londoner Francis Forbes reportedly invented a nickel-plated lamp for dentistry, which consisted of a semi-spherical chamber containing an electric arc apparatus.8’Australian Invention‘. (1921, October 8). The World’s News, p. 4 One dentist demonstrated the ‘brilliant violet-colored light’ as it was shone onto a patient’s gums, it produced a cooling effect rather than a burning sensation. It was seen as a step forward in ‘painless dentistry’. Yet not all had access to electric light and some individuals harnessed their innovation into older technologies. 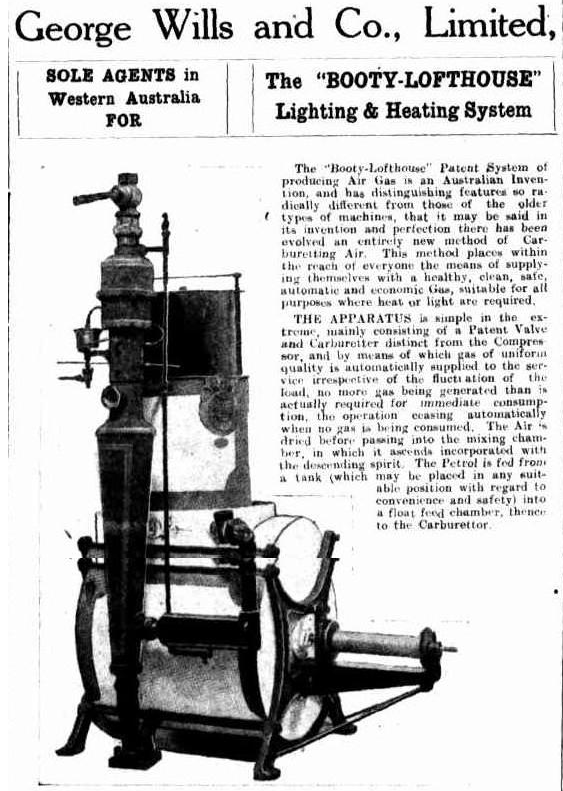 On 18 July 1910, Perth residents Jacob Matthias Lofthouse and Emily Rosalie Booty patented their air gas apparatus which simplified the supply of gas for lighting and heating in domestic dwellings.9Patent no. 18,646/10, application no. 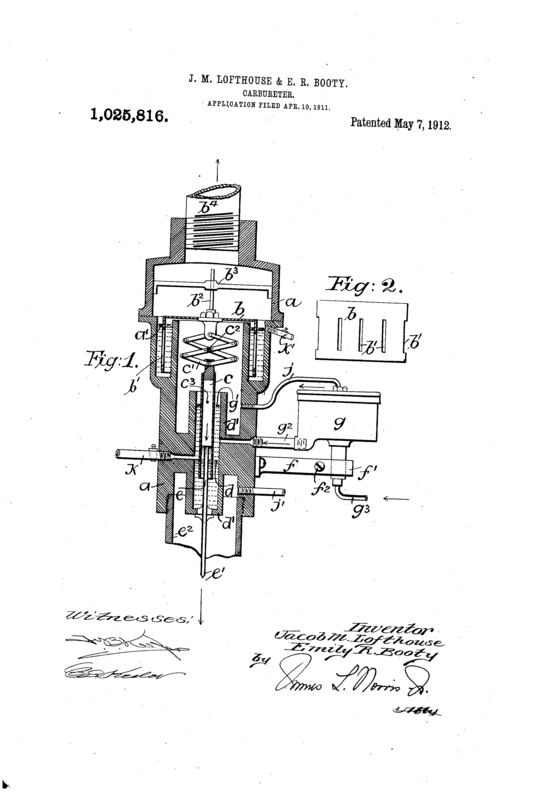 1910018646 via AusPat and US Patent. See also ‘Advertising‘. (1914, June 26). Western Mail, p. 2 The ‘Booty-Lofthouse’ Patent System supplied ‘healthy, clean, safe, automatic and economic’ gas, a ‘new method’ of carburetting air. More than 40 years after the ‘Booty-Lofthouse’ system of lighting and heating emerged, the Commonwealth Science and Industrial Research Organisation (CSIRO) developed one of their successful research programs. The team, led by Roger Neill Morse, in their workshops in Maribyrnong, Victoria pioneered the development of a new industry to manufacture solar-powered hot water heaters.10‘Solar hot water systems’, 10 February 2011, via CSIROpedia By 1954, a prototype solar water heater had been built and tested and the production of solar water heaters was well underway by the 1960s. 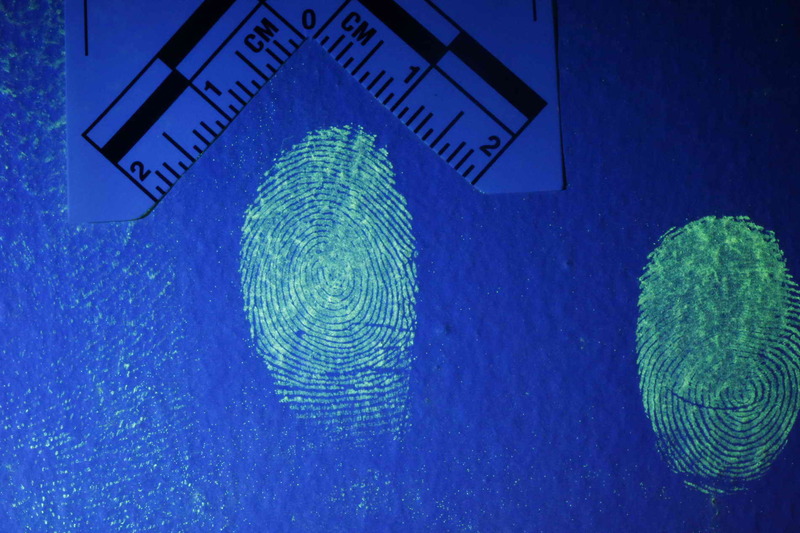 The old method of powder imprints was successful on some surfaces, but less so on paper and uneven surfaces.18’Researchers throw new light on fingerprints‘. (1988, April 2). The Canberra Times, p. 11 The Canberra Times noted that Warrener and ‘his team realised that if the fingerprint could be made fluorescent, the ridges [of a fingerprint] would show up more clearly’.19’Researchers throw new light on fingerprints‘. (1988, April 2). The Canberra Times, p. 11 The team used a metal salt solution and the resulting ‘photoluminescence revealed fingerprints as bright ridges on a dark background’.20’Researchers throw new light on fingerprints‘. (1988, April 2). The Canberra Times, p. 11 The team then experimented with different coloured lights and with filters were able to highlight prints against various background surfaces, textures and colours. Considered one of the most significant inventions in Australian history, the lamp has been used to detect forged artworks and has been adopted worldwide. This article was originally published by IP Australia. Read the original article. Reproduced here courtesy of IP Australia.